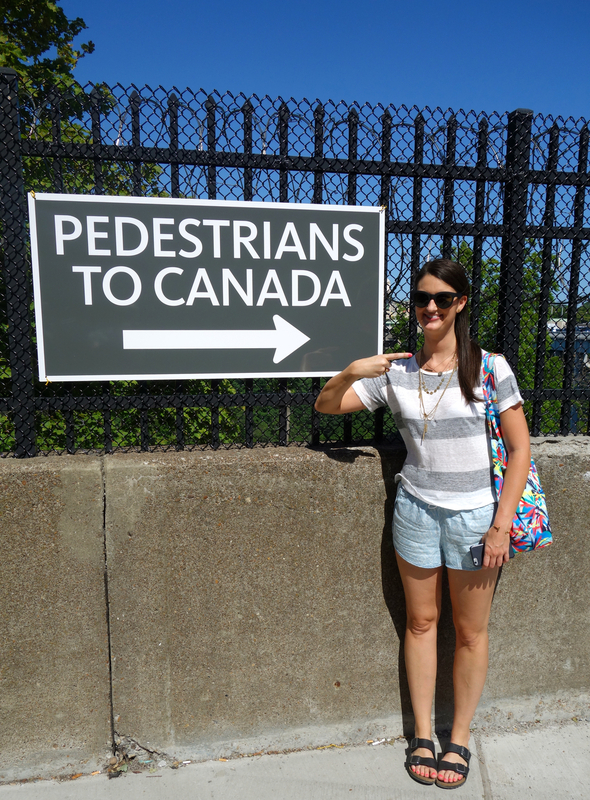 Did you know that you can just walk across a bridge to get to Canada? That’s exactly what we did, and we have proof! USA on the right, Canada on the left. 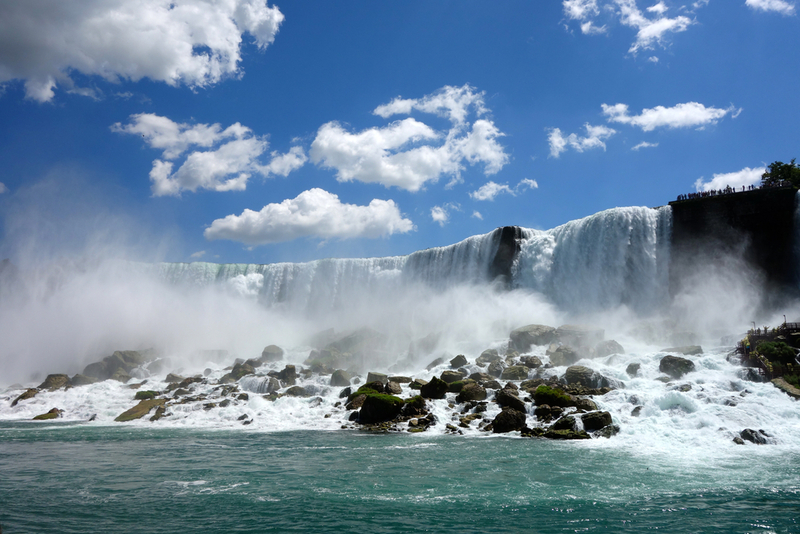 While in Canada, we also took a boat tour of the Falls on Hornblower Niagara Cruises, which is essentially the same thing as the Maid of the Mist on the American side, but with red ponchos instead of blue ones, and with the added novelty of admission being charged in Canadian dollars. 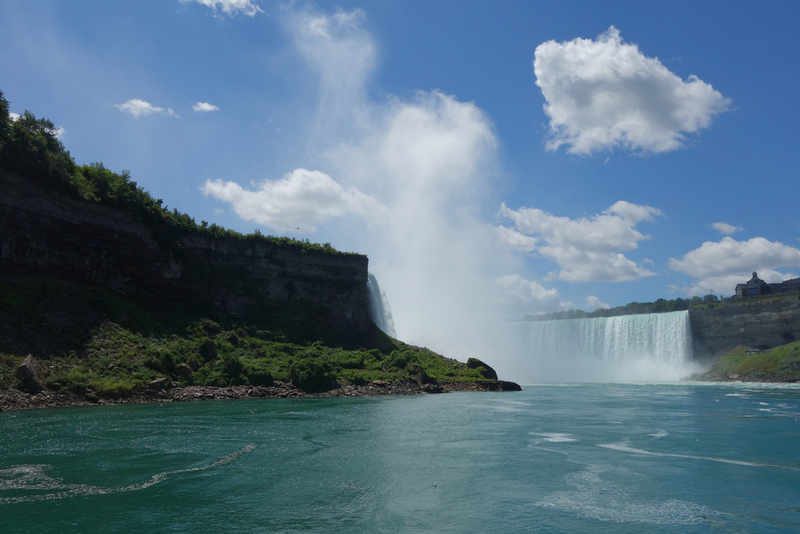 We got soaked, but managed to snag a few photos of a really breathtaking natural wonder. The whole experience took about 3 hours and cost only $20 for the boat trip. It was so simple and easy that it got me thinking: what other adventures have I overlooked that might be right under my nose?